White House senior adviser Jared Kushner, right, speaks as U.S. Ambassador to Israel David Friedman listens during the opening ceremony of the new U.S. embassy in Jerusalem, May 14, 2018. 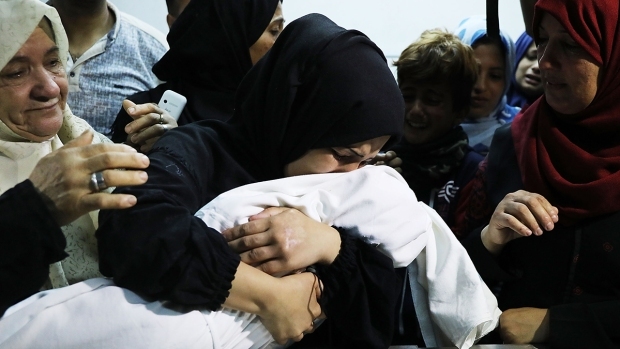 The White House on Monday blamed Hamas for the deaths of dozens of Palestinians in clashes between protesters and the Israeli military, NBC News reported. The protests on the border between the Palestinian-controlled Gaza Strip and Israel, in which some participants burned tires and hurled rocks, came as the U.S. held a ceremony marking the opening of its new U.S. Embassy in Jerusalem, reflecting the Trump administration's recognition of that city as the capital of Israel. Ivanka Trump, the president's daughter and adviser, attended the embassy opening in Jerusalem, where her husband Jared Kushner briefly gave remarks. 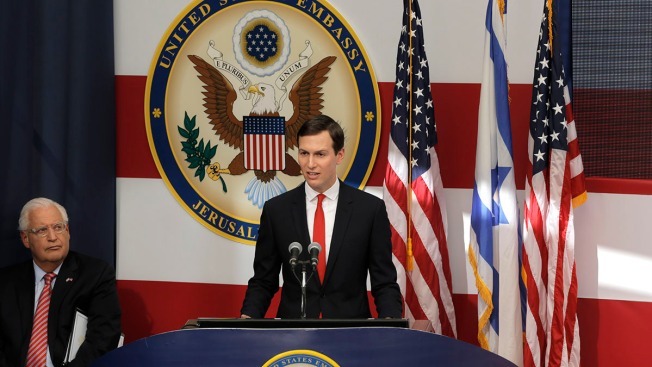 "As we have seen from the protests of the last month, and even today, those provoking violence are part of the problem and not part of the solution," Kushner said. Those remarks, which appear to dovetail with Shah's assessment of blame, were not included in an official White House transcript of Kushner's speech.